In a letter to students, friends, and supporters, Rabbi Yeshayahu Pinto discussed his latest setback, and how he is coping with it. 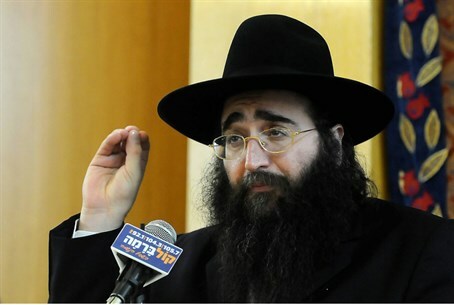 In a letter to students, friends, and supporters, Rabbi Yeshayahu Pinto discussed his latest setback – the decision of the Attorney General's office to indict him on charges of bribery, obstruction of justice, police corruption, and witness tampering. The ordeal he faces is a test, Pinto wrote, and “the greatest test is when a person feels that all paths are closed to him, and all his appeals to G-d are for naught. “We Jews, as children of the Patriarch Abraham, are bidden in this world, like him, to pass ten existential tests,” among the many other tests man faces, he wrote. “In the past five years, we have faced innumerable daily tests. If not for the help of G-d who accompanied us every step of the way, we would have raised our hands in surrender. I still cannot tell all the suffering I and my family have faced,” but that day would come, he said.